Seventh part of the blog, late as usual. This one was always intended as the second prog part (with only one avant-stuff this time)... but I had planned to complain about how Nevermore broke up and how they should reunite. Well, as you know, I just can't anymore. Rest in Peace, Warrel, and thanks for the music! This weird album, quite disdained by regular In The Woods... amateurs for its mellow approach and lack of black metal of any sort, was actually my first contact with the weird Norway scene and avantgarde metal in general. It took its time to sink in, and now I sure like it quite a bit and certainly prefer it over all their other records, even Omnio. A great listen, if a peculiar one. 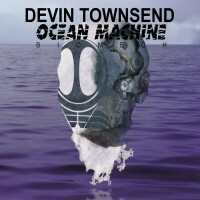 This was the first Devin album I heard, even before checking some Strapping Young Lad. As usual, it took its time to sink in (the usual 'too mellow yadda yadda' stuff that was some relevant when I was much younger), but stellar songs like "Seventh Wave", "Life" or "Night" (not to mention, well, all other songs on this marvel) were bound to enrapture me. To this day, it's still probably Devin's best solo work - but I also have to confess a huge love for the sheer nerdiness of Ziltoid. INDEED! 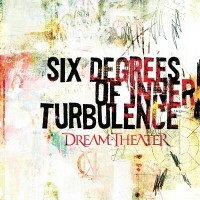 Here is it, the other Dream Theater album I hinted at in previous comments. This will certainly come across as surprising choice, but Six Degrees Of Inner Turbulence is probably their most underrated album if you ask me. Sure, it came out after what is considered their crowning achievement (Metropolis II, what else), but in the end I feel Six Degrees is one of their most personal and emotional releases (tied with Awake on that) - here started the 'Alcoholics Anonymous suite', and both "Blind Faith" and "Misunderstood" send shivers down my spine everytime I hear them. A classic for prog fans, this one. 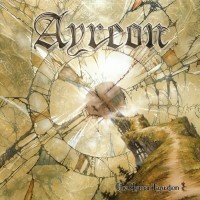 That's Ayreon at its peak, with great melodies... and kitsch cringe-worthy moments. But what always made Ayreon so special is the diverse cast of singers ; and let's just say that on this Human Equation the line-up is terrific (Devin Townsend, James LaBrie, Mikael Åkerfeldt...), and their whole portrayal of human emotions works so damn well it's magical. Link: The whole album playlist on YouTube is here! Isa is the first Norway Black Metal album I enjoyed. 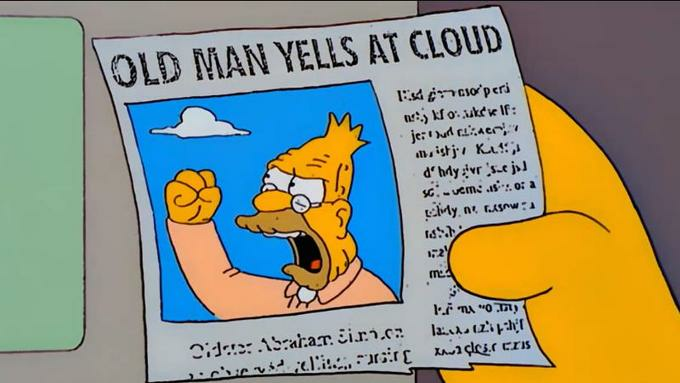 And, to be honest, I'm still not fond of the regular tr00 BM scene, but once one gets into prog, indus or avant territories, I'm game (or, at least, I can be interested). Just as Focus (see below), Isa paved the way for my most extreme prog leanings... and some of the black metal I like too. 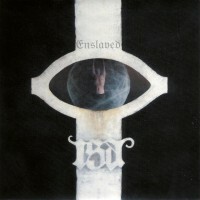 So yeah, great album, but come to think of it, Enslaved weren't even at their best at the time... yet! I'lll confess that I don't listen that much to Focus nowadays, but man it did have a tremendous influence on my musical growth (Cynic, but Atheist too, were the first times I could stomach somme jazz-influenced stuff - and that's just an example). I don't think I have to introduce them by now, but let's just say 'jazz' and 'death metal' (and vocoder too)... and remember the masterminds behind this album worked on Death's Human too. That's a mandatory listen, by the way. This album was so ahead of its time in 1993 that it still is visionary now. I think it's clear enough that I hugely enjoyed Nevermore's music, and particularly this Godless Endeavor (my oh my, the eponymous song...). So, please do yourself a favor, and spin it again in Warrel Dane's memory. 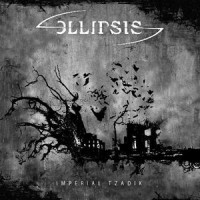 Ellipsis are a band coming from my native town. 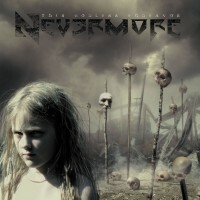 Sometimes likened to Nevermore, they're somehow at a crossroad of genres too;dark, haunting, heavy, progressive, and quite weird at times. Imperial Tzadik is an unknown gem, easily the best the band ever produced; from the unhinged barely restrained violence of "Perfect Rage" to the fantastic progressions of "Imperial Tzadik" and "Possessed By Dilemma" (not to mention all the other songs actually), you're in for a fantastic and intense listen. Link: Only a few songs on YouTube, so here, here and here you'll find the three songs I mentioned above. I discovered most, if not all, Mekong Delta albums at the same time, around the time the by-then brand new Lurking Fear was released. I love most of them, and I'm still impressed by the sheer technicality of them all, all the while being quite accessible and nothing like a wankfest. Plus, they're quite the geek's dream soundtrack (with an album centered around The Chronicles Of Thomas Covenant, and some movie soundtracks covers). Anyway, Kaleidoscope is my go-to album by this excellent band ; it's a bit mellower than their previous efforts, but certainly no less progressive! 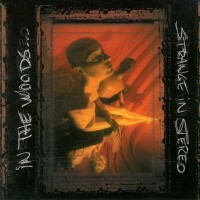 My first contact with Riverside, I checked this album when it was released because Ivor was raving about it. I'm still glad I did! This album is so perfectly balanced between progressive rock and metal agression it's a marvel. 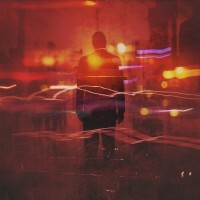 And while Riverside always wrote good prog, I've never been able to enjoy any Riverside album as much as this ADHD. Man... No Devin? No Cynic? No Mekong Delta? This was an absolutely awesome selection of proggy metal albums. I've never heard Ellipsis, but I will check them out! And you still wonder why people don't take you seriously? And regard you you as the laughing stock of MS? Oh nice to see Six Degrees Of Inner Turbulence getting some love, agreed that it's underrated. It is my favorite DT album due to how emotional and rather unique sounding it is. Ahah, glad to see I'm not alone loving it! The only album know I haven't heard of out these is Ellipsis. Should I? 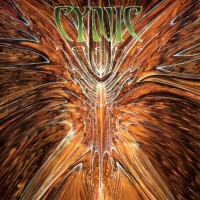 All the other releases are stellar especially from Cynic, Riverside, Nevermore and Devin. it's funny because that Riverside album is probably their best so far but this is debatable. While they had amazing two (almost three) albums before, that one was probably when they reached their songwriting peak. It's not viewed as such by most people though but I get the pick. So, it was Six Degrees Of Inner Turbulence of course. In my opinion, a great album for sure and it is underrated, as it gets mostly forgotten due to the albums that came before and after. After? Yeah, I know I'm the minority here, but Train Of Thought is sterile as it is heavy for me. You write cool, very interesting, thank you!